How would you assess the ordinance on the Truth and Reconciliation Commission and Commission on Disappeared Persons sent by the government to the president seeking approval from the latter? Why has it been criticized? Basically there are two reasons, first the government has brought this ordinance in a very undemocratic way and secondly the ordinance aims to grant amnesty to the perpetrators of armed conflict rather than providing justice to conflict victims. Furthermore, the ordinance fails to recognize the basic four pillars of the transitional justice i.e truth, justice, reparation and institutional reform. Therefore, conflict victims and the human rights defenders have taken strong position against it. It is pertinent here to understand the background on how the current ordinance was brought. If you look at the history of the transitional justice discourse in Nepal, it has almost taken four years for the formulation of the transitional justice related bills, which unfortunately expired along with the dissolution of the Constituent Assembly (CA). Human rights activists, lawyers, members of the civil society, conflict victims and other relevant stakeholders such as political parties as well as security officials were consulted during the process of drafting these bills. Nationwide consultation was organized in this connection for four years. The Ministry of Peace and Reconstruction had initially made a draft and uploaded it in its website for public comments. A number of suggestions and amendment proposals were submitted by national and international organizations including by the UN agencies in this connection. Human rights organizations; lawyers and the family members of the conflict victims participated and provided their feedback on the draft. The drafting process got substantive support from the donor agencies, United Nations and the National Human Rights Commission (NHRC). Finally, the Peace Ministry with the help of an expert team, came up with two separate bills; one on the Truth and Reconciliation Commission and another on the Disappeared Persons. These bills were registered in the parliament after finalizing their contents through an all-party meeting in which there was the participation of the civil society members, government officials including Attorney General and other intellectuals. The Bills were also problematic in a number of issues; however, there were two important aspects –the public consultation process to be conducted throughout the country and exclusion of serious crime from the amnesty policy in the bills. The provision of legislative engagement in developing these laws was another important aspect of this process. For example, the session of the then parliament adopted “in principle” these bills and sent to the legislative committee to further accommodate the concerns of the victims and other groups. Unfortunately, the Legislative–Committee of the Parliament failed to forge consensus, which not only delayed the process but also undesirably, invited a political intervention. Consequently, in December 2011, “Three Big Parties” reached an informal agreement to merge these two Bills thereby forming a single Truth Commission, contrary to the CPA, the Constitution of Nepal 2007 and the order from the Supreme Court. But, due to a huge pressure from the national and international community, the legislative Committee could not go in line with the political agreement. Two members of the sub-committee tendered their resignation, rest of the members remained in the committee but with no courage to object the political bad intention. With the dissolution of the CA on 28 May, these Bills became the property of the parliament with no legal effect. The government took advantage of the failure of the legislative process and drafted a new Ordinance by merging these Bills with amnesty power to the TRC. This ordinance, on the one hand, carries all bad provision of the Bills and leaves out all the good provisions, on the other. As it has made all serious human rights violation and crime under international law amnestiable and empowering the commission to recommend amnesty, the Ordinance represents the culmination of a grand political bargain struck between the political parties, and the proposed Commission is likely to be a vehicle for ensuring that those responsible for gross human rights violations and crimes under international law committed in the course of Nepal’s decade-long conflict will not be held accountable. Therefore, this ordinance is not acceptable to the victim, human rights defenders and society as a whole who have been desperately waiting for truth and justice. The government has blamed that conflict victims and human rights defenders have opposed the ordinance mainly because they are not going to be made the official of the commission formed through this ordinance. Do you think such an opposition has something to do with getting post in the commission? I think it is a baseless allegation. Working in the transitional justice mechanism is itself a challenging task. I think, what human rights defenders are concerned about is independent and credible nomination process, since the success of the transitional mechanism depends on its independence and autonomy. The current ordinance fails to provide a credible nomination process. For example the Ordinance has a provision to form a selection committee under the chairmanship of the retired Supreme Court chief Justice; however, the selection committee will have to make recommendation for the appointment of the members of the Commission on the basis of the consultation with political parties. The requirement of the Ordinance to consult political parties makes the selection Committee toothless. On the other hand, the use of phrase “high level commission” in the Ordinance instead of “an independent commission” as was used in the previous bill makes this commission more political mechanism, as other Commissions of Inquiry used to be. How do you see the role of opposition parties in this process? Some political parties are also opposing the proposed ordinance; however, they are yet to put forth their views publically. To my analysis, these parties have opposed basically the process of bringing this ordinance rather than its contents. Some of the leading figures of the parties such as the Nepali Congress (NC) and the United Marxist Leninist (UML) implicitly support the bills because they do not want to address the conflict related incidents committed in the past and are with the mentality that country should move ahead without taking into consideration what happened in the past. What would you say about the ordinance in relation to granting amnesty, exonerating the perpetrators of armed conflict and providing justice to the conflict victims? The Commission is empowered to recommend the granting of amnesties for all serious human rights violations within its remit, including those constituting crimes under international law – such as torture, enforced disappearances, war crime, genocide and crimes against humanity. Amnesties that allow those suspected of criminal responsibility for crimes under international law to escape accountability violate international law and contravene the Supreme Court’s decision in several cases where the Court stated that those found of guilty of enforced disappearance cannot be amnestied and pardoned. On the other hand, in relation to the persons subjected to enforced disappearances, I would like to take it as a ‘hopeless ordinance”. The Supreme Court in the case of Rabindra Dhakal vs. government of Nepal, in June 2007, directed the government to criminalise enforced disappearance in accordance with the UN Disappearances Convention, and to ensure that amnesties and pardons would not be available to those found guilty of the crime. This ordinance, however, does not criminalize enforced disappearances whereas the bills proposed earlier would do so. In such a situation, even if the commission recommends for prosecuting the perpetrators of enforced disappearances, no legal provision is in place to do so. Data have revealed that Maoist cadres were victimized more than others during armed conflict. However, the Maoist-led government itself has attempted to form a commission that is likely to grant amnesty to the perpetrators of their cadres. Why, do you think, the government has made such an attempt? It is happening in many countries not only in Nepal. Political parties in many countries forget the sacrifice of their cadres. The Maoists want to remain in power rather than being serious on the issues of their cadres. The Nepal Army and the Maoist party which used to take each other as enemy have converged on many issues now. There are many examples to justify this. 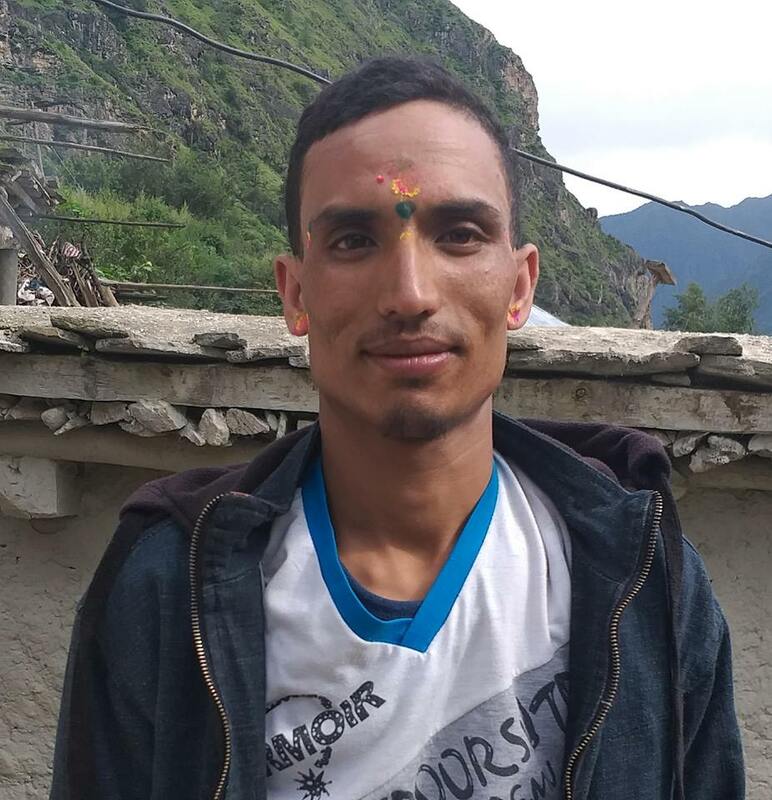 The promotion of Raju Basnet and withdrawal of the case of Bal Krishna Dhungel, who was accused of killing a person in Okhaldhunga district, can be the examples in this connection. It is high time the conflict victims who were the cadres of the Maoist party in the past think whether their party is struggling for power or for addressing their socio economic issues. Don’t you think that the commission formed through this ordinance will have limited power? Yes, I do. If you look at the mandate of the purposed commission under the Ordinance, you will find the scope of the ordinance is very limited compared to the previous ones. This ordinance significantly narrows down the mandates of the TRC by confining it to look into only the cases of serious human rights violation, whereas the Bill on the TRC which was registered in the parliament had given power to the TRC to look into any cases of human rights violations. This Ordinance, on the one hand, allows the commission to conduct an inquiry only in the cases of “serious violations” and, on the other hand, it deliberately excludes the jurisdiction of the commission over the violation of “economic and social cultural rights” and also excludes any matter under consideration in the courts. Hence, this Ordinance narrows down the scope of the commission thereby failing to adequately address the underlying causes and patterns of violations. The interim constitution of Nepal 2007 and the CPA had decided to form an independent commission but the commission proposed by this ordinance provides that the Attorney General or the government lawyer assigned by him or her are authorized to file the cases. Doesn’t this provision seem a bit discretionary as well as government-centric? The section 28 provides that the Office of the Attorney General, on the recommendation of Government of Nepal, may decide to or not to file a case, but this provision is meaningless since the Commission has been excluded from making recommendations for the prosecution of those whom it might reasonably find, responsible for serious human rights violations. This also violates the Attorney General’s constitutional power, as it would have to be dependent on the recommendation of the Government. Therefore, this provision seems “ornamental show piece”. So, even if the proposed commission is formed, implementing its recommendations is challenging, isn’t it? Generally, the recommendations of commissions are persuasive rather than mandatory. However, the recommendations of the transitional justice mechanisms have to be taken as mandatory. The problem is that many commissions were formed in the past in Nepal but some of them even did not publish their reports and the recommendations of such commissions were not taken seriously by the concerned agencies. For instance, the recommendations of the powerful Rayamajhi Commission were not implemented and the persons who were recommended to be prosecuted on charge of involving in many cases are being promoted by the government now. Therefore, I doubt that the commission formed through this ordinance would be able to solve the issues related with transitional justice. How can the conflict victims get justice then? Conflict victims should pressurize the concerned parties and bodies to address their issues and oppose if a flawed commission is formed. There are also international instances in which such types of commissions were formed, but were opposed by conflict victims. Transitional justice issues are complicated. If victims do not get justice, they keep on sticking for their cause. There are some crimes which cannot be excused even by the victims. Some minor issues can be granted amnesty. However, it seems that some of the conflict victims are trying to excuse perpetrators due to fear and attraction of blood money. In order to ensure justice for the conflict victims, the ordinance in question should be dismissed and new bills should be tabled in a democratic way through a legitimate process.